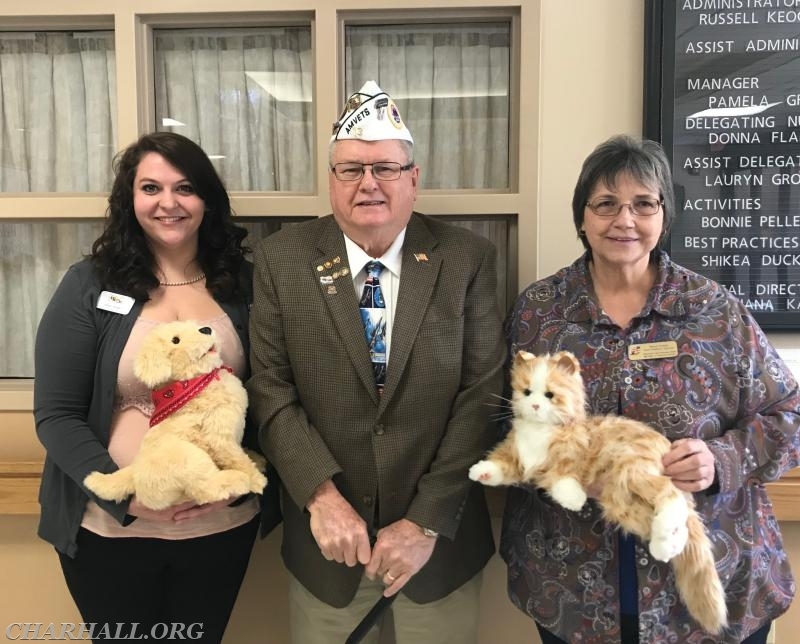 Thank you to the Sons of AMVETS, Deptartment of Maryland Squadron 7 in Thurmont Maryland for donating a Comfort Pet dog and cat to our Memory Care Unit. The look of joy and happiness that appears on our residents faces is priceless. These Comfort Pets are so lifelike and comforting to our residents. Thank you also to Ronald Teufel for delivering this wonderful donation to Charlotte Hall Veterans Home.